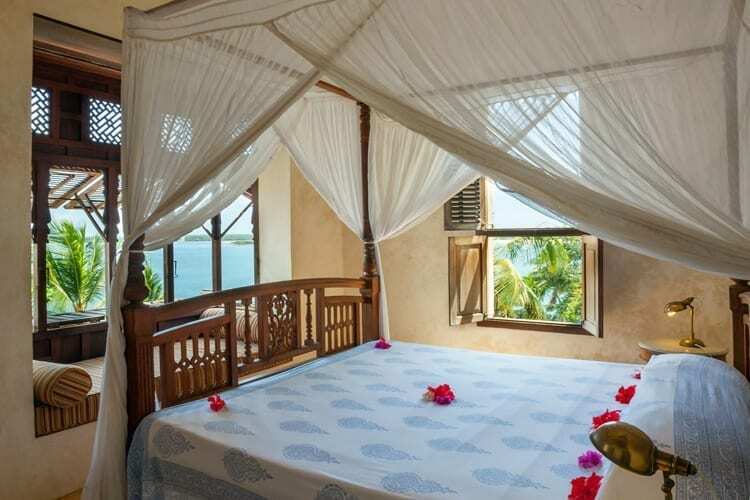 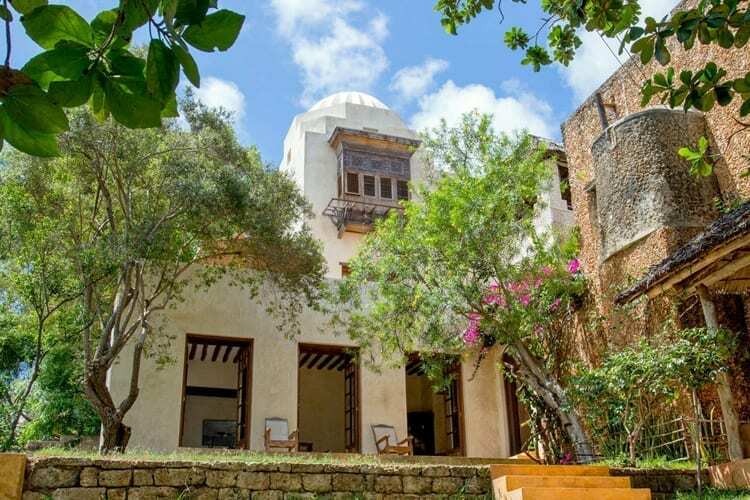 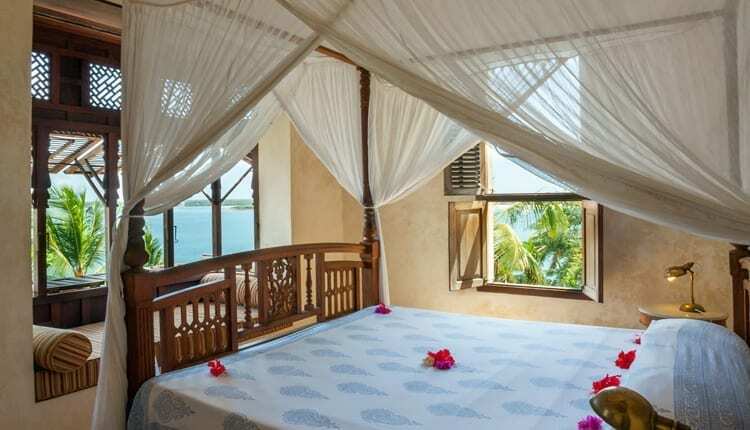 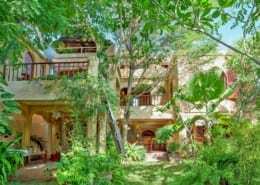 A charming and architecturally-appealing place to stay which enjoys far-reaching views from upper terraces and seafront gardens, Mama Daktari House has two double bedrooms and is often rented with the adjoining Betty’s Suite – together the two properties can accommodate 6 guests. 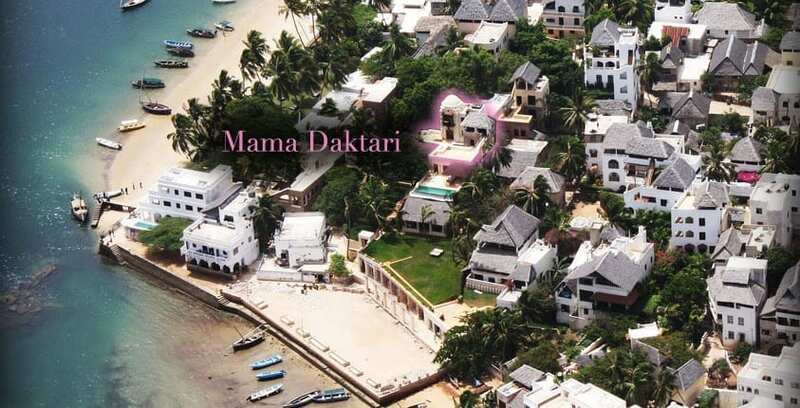 Mama Daktari is one of The Moon Houses – a collection of neighbouring and interconnecting houses set just back from the seafront in Shela Village. 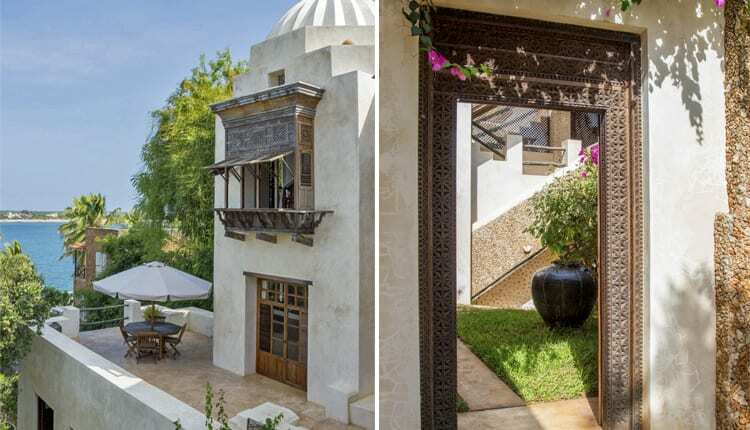 Each of the houses can be rented individually – or together with one or more of the adjoining properties – providing flexible and adaptable accommodation for from 2 up to 22 guests. 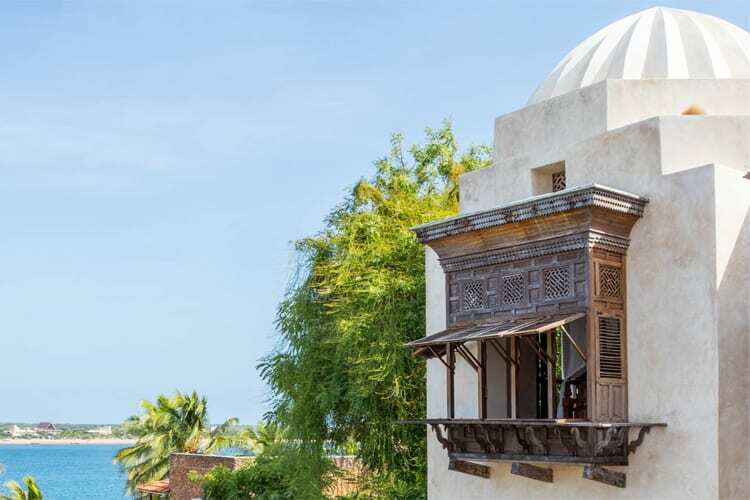 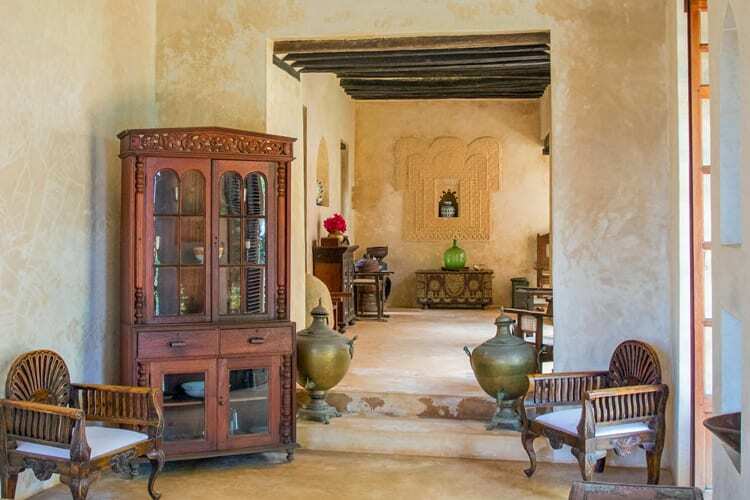 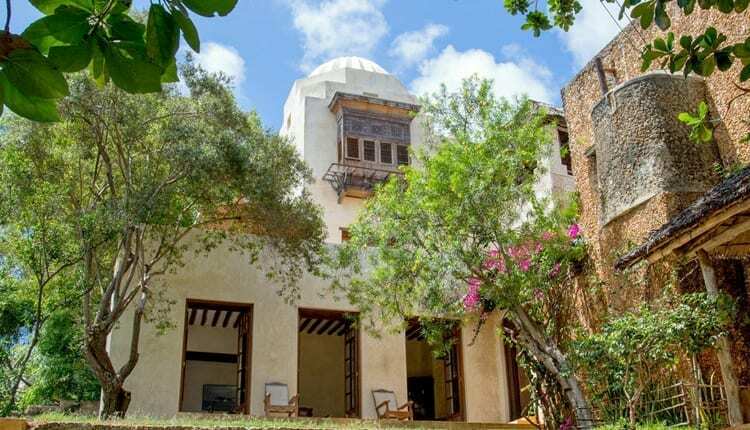 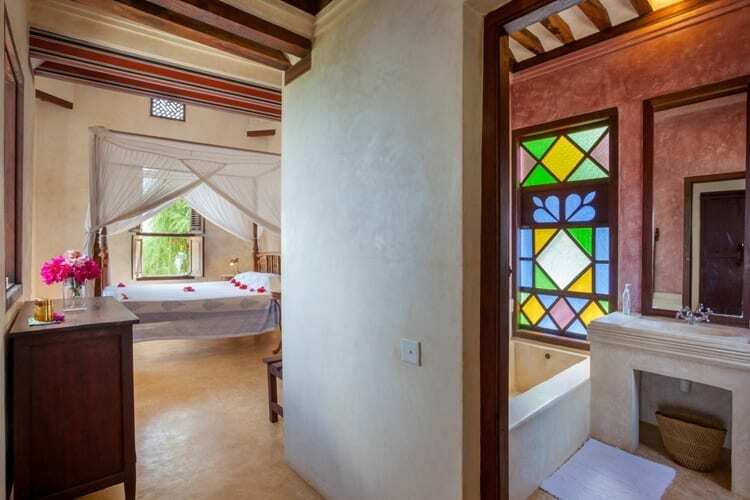 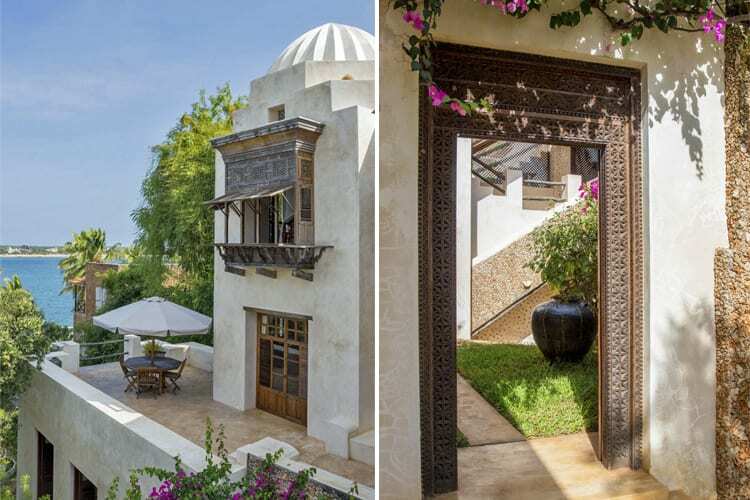 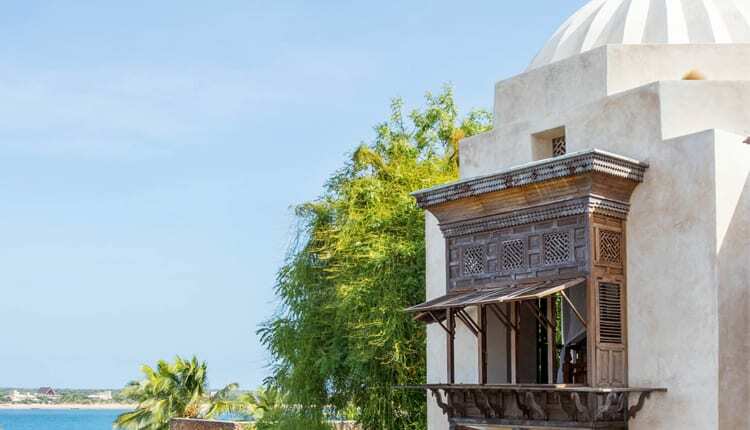 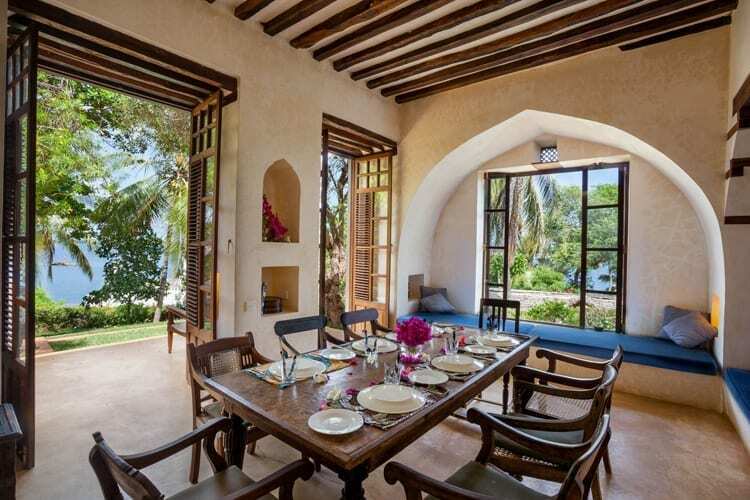 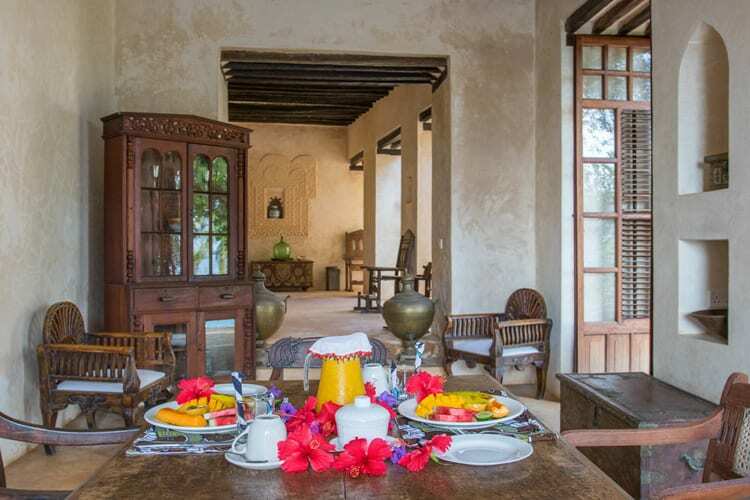 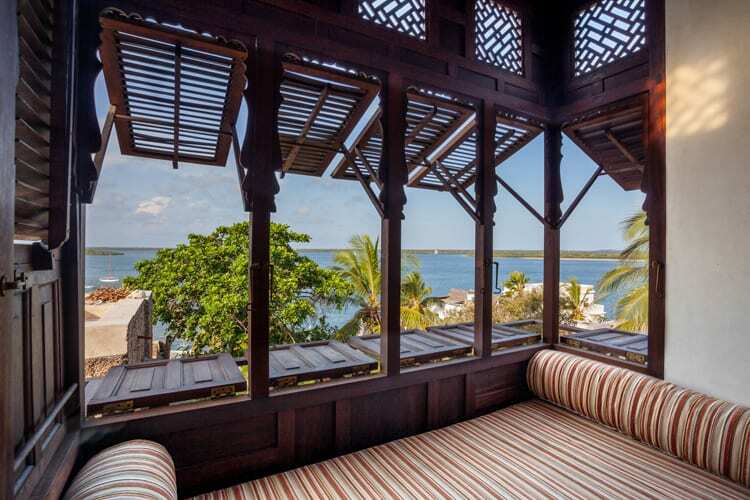 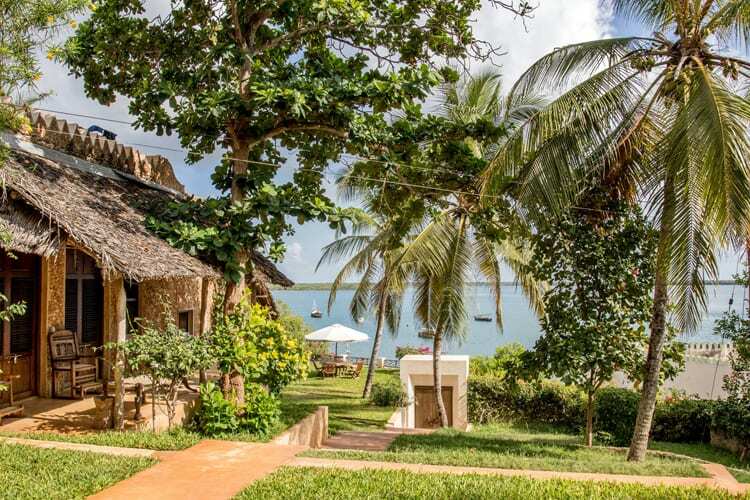 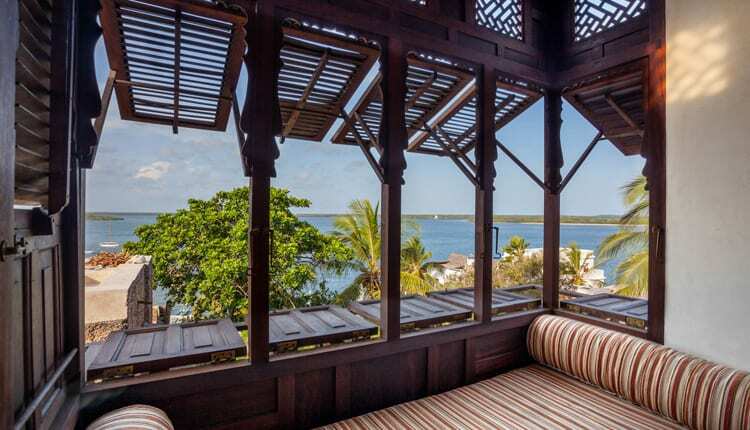 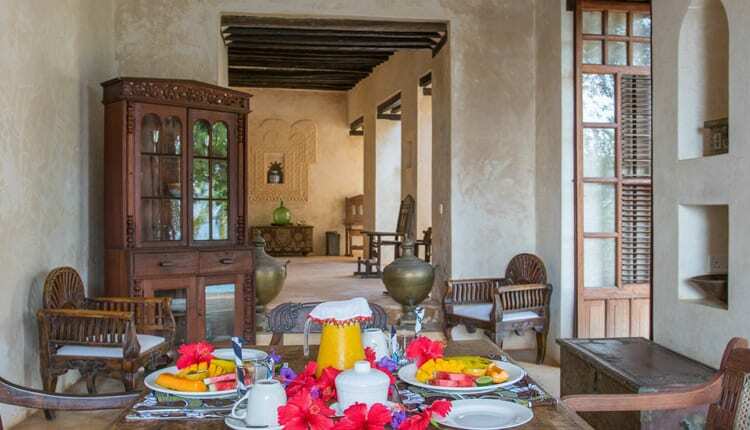 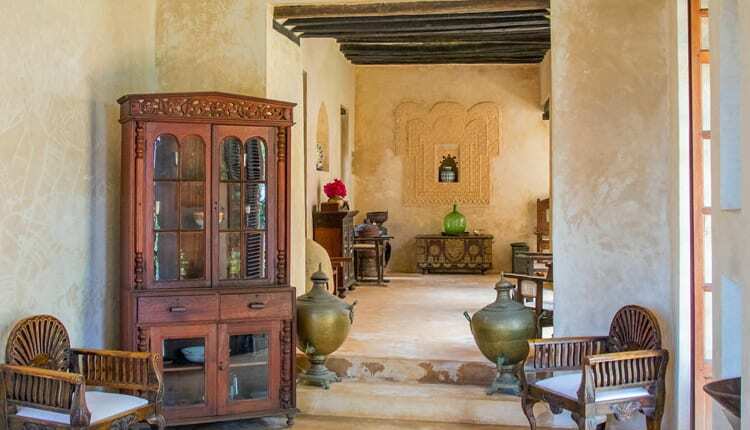 Historic and charming, furnished with local antiques and built in traditional Swahili style, the houses come complete with excellent chefs and housekeepers. 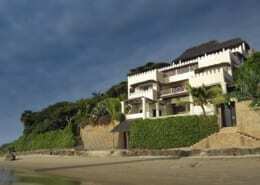 The houses are rented on a ‘self-catering’ basis – guests can choose from a guideline menu and the house staff will shop and prepare and serve meals as required, buying ingredients and provisions for guests ‘at cost’. 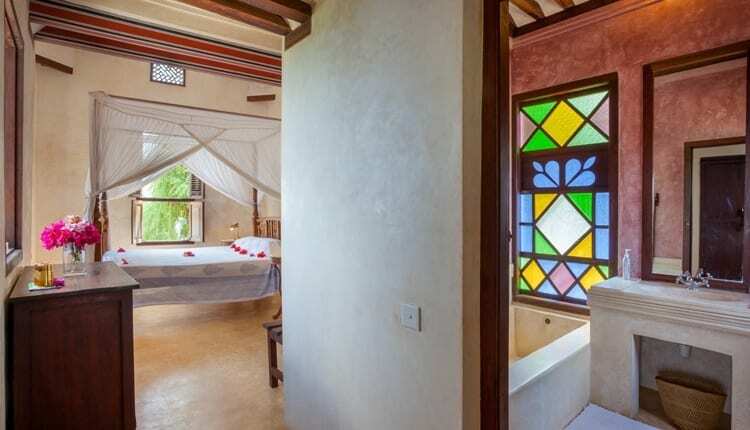 The houses also come with the services of a professional on-site manager who can help organise local activities and excursions. 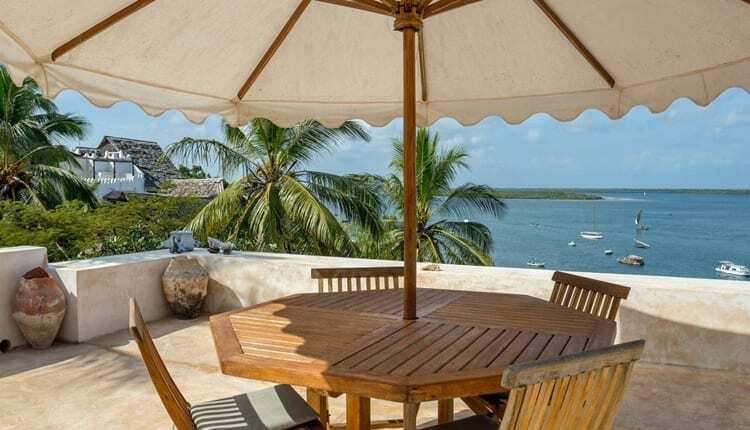 Rentals also include return airport transfers on the Moon Houses’ own private motor boat, along with complimentary laundry services and wi-fi internet. 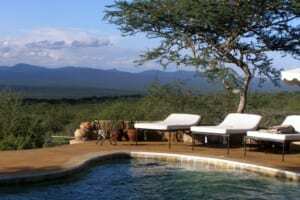 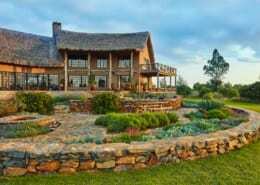 Rentals of The Moon Houses help support the Safari Doctors project www.safaridoctors.org. 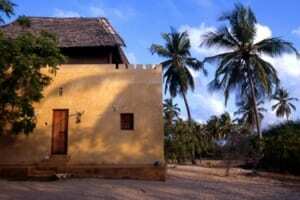 Safari Doctors is currently the only organization providing regular medical care to remote areas of the Lamu District. 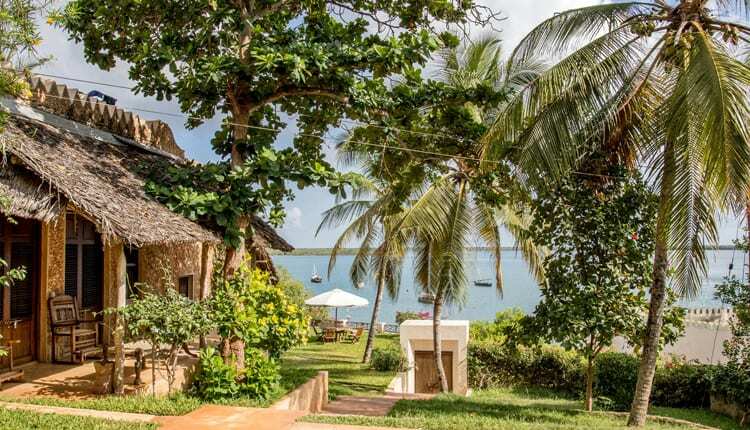 Safari Doctors runs a monthly mobile which travels up the coast north of Lamu by dhow – reaching distant communities in need of health services. 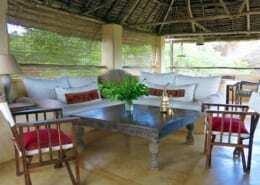 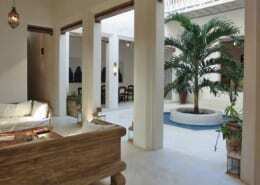 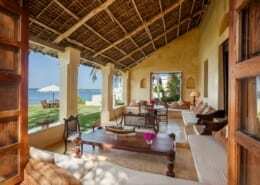 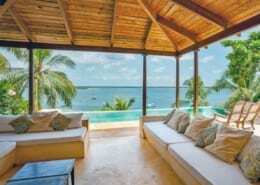 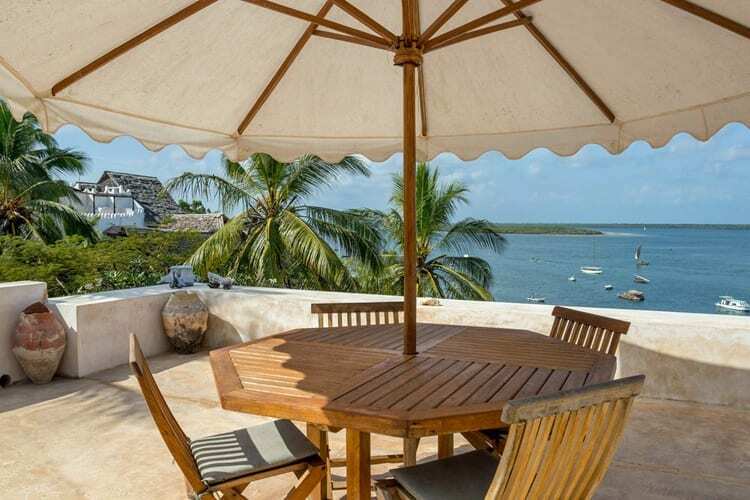 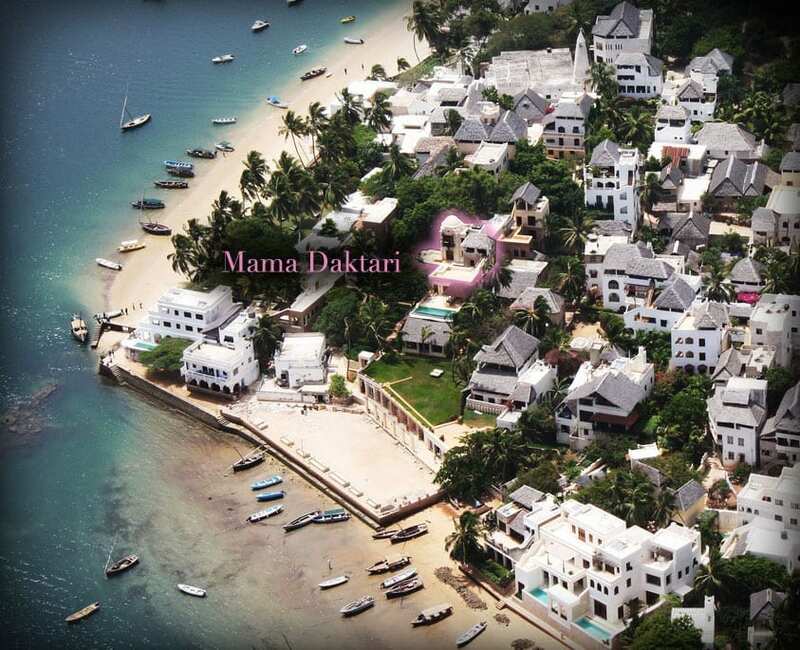 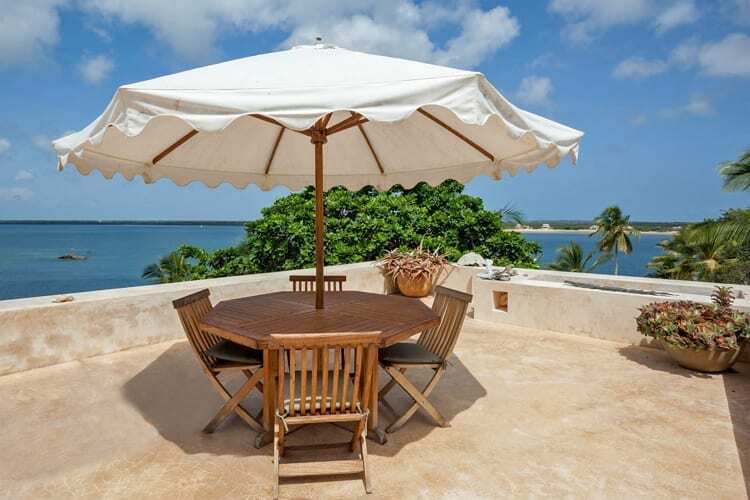 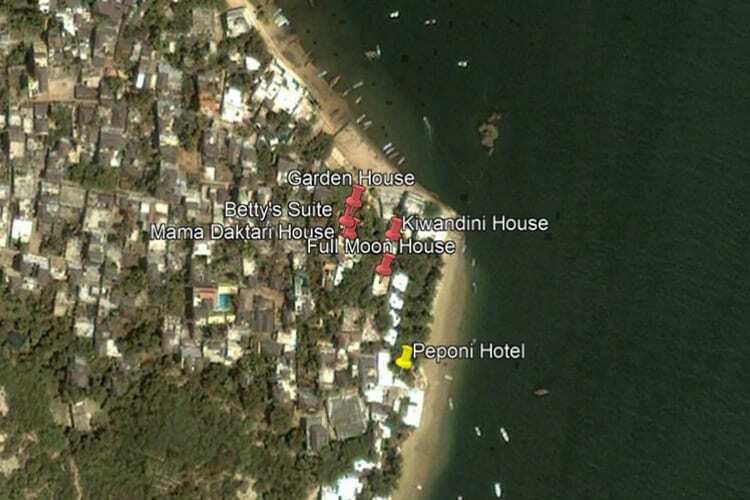 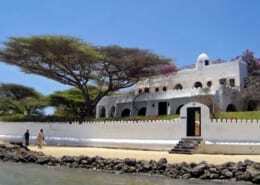 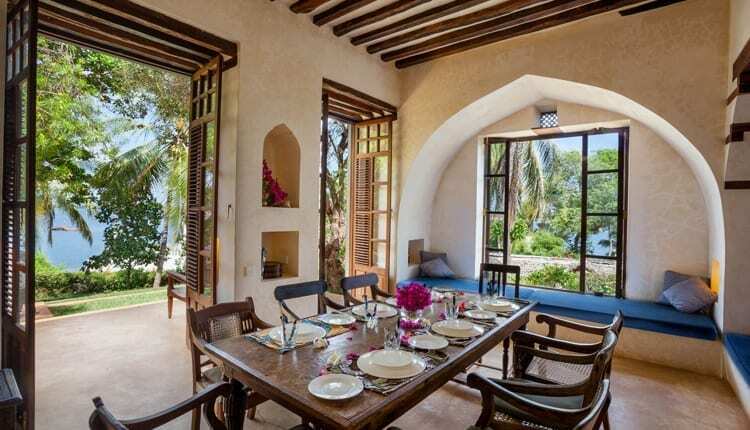 Mama Daktari sits less than 50 metres from the seafront in Shela Village, close to the eastern tip of Lamu Island. 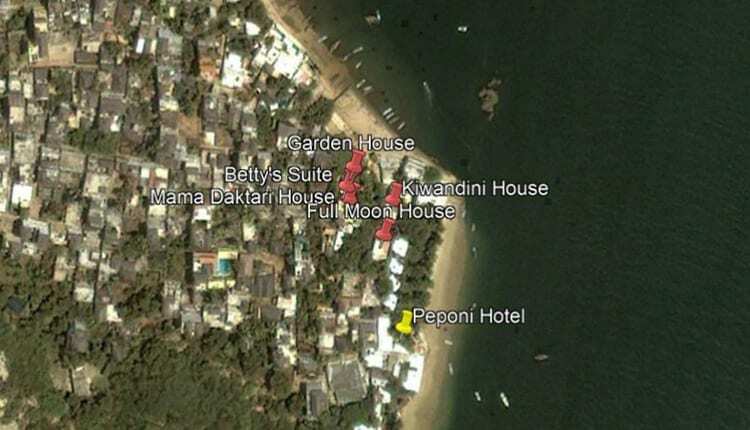 The island’s main beach is just a minute or two away from the house, as are Peponi Hotel and the other attractions of the village. 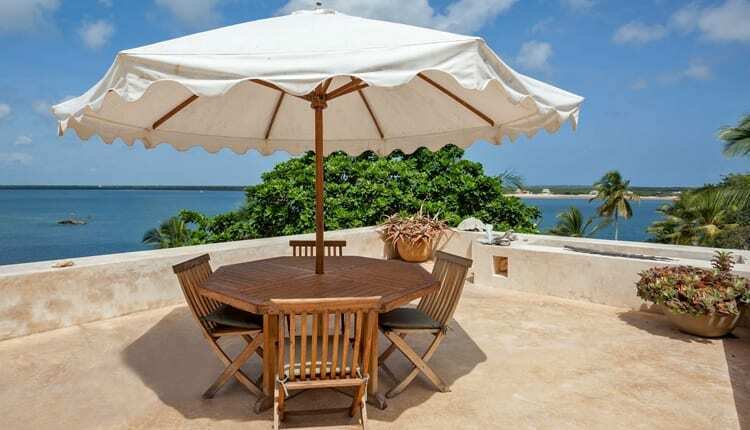 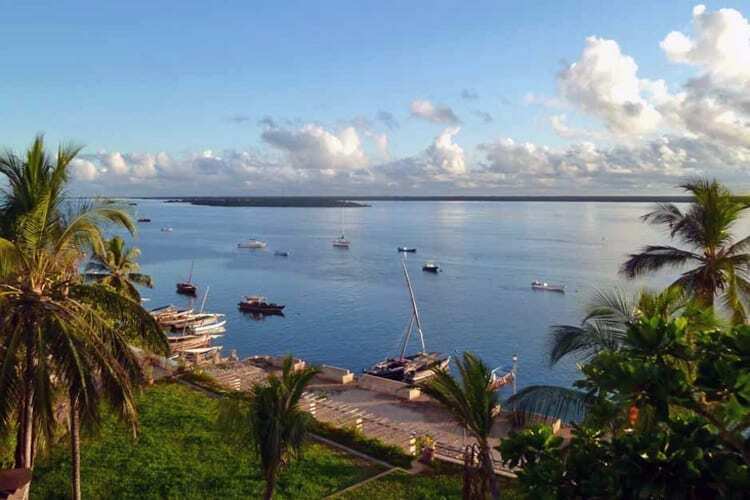 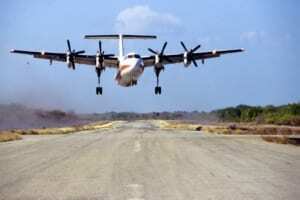 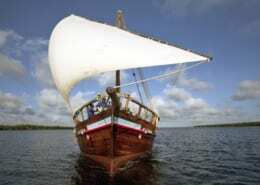 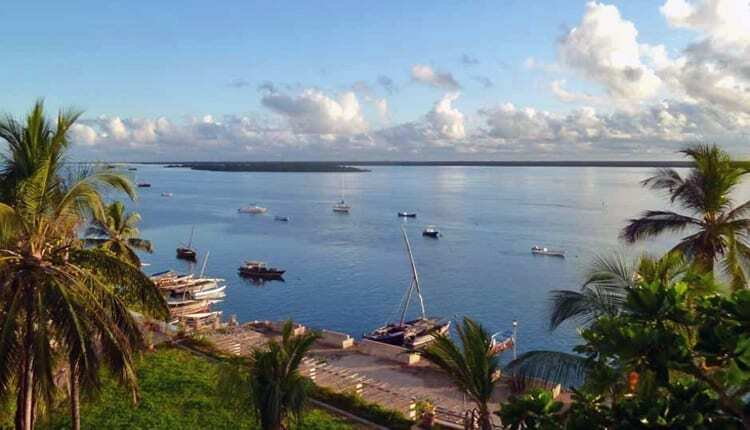 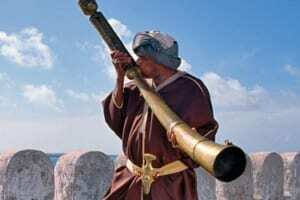 Lamu Town is two miles north of Shela, and Manda Island and its airport are just a short boat ride away.